The Monash University Department of Physiotherapy aims to advance health and wellness through best practice in education and research in an environment that is progressive and supportive for both educators and students. We offer an innovative and exciting four-year undergraduate Bachelor of Physiotherapy (Honours) program and will commence a Doctor of Physiotherapy (Masters - Extended) from mid year 2020. Our courses are designed around case-based learning with fully integrated curriculum that combines self-directed learning opportunities with high quality lectures and tutorials. Staff who teach in the program have either completed formal postgraduate studies in education or undertake ongoing informal education in teaching best practice. A strong emphasis on finding interdisciplinary solutions to health problems flows through all the School's courses. Students gain an understanding of how they can work with other primary health care professions. Each year we have an intake of more than 120 students into the undergraduate program. About 25 percent do not come directly from school. Some transfer from other courses and some are already in the workforce. 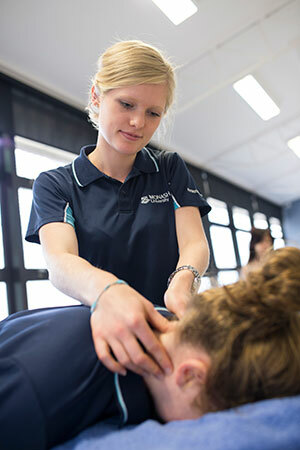 The Monash Bachelor of Physiotherapy (Honours) degree is popular as it provides a complete professional training program within four years, enabling registration as a practising physiotherapist at completion. Further information about the proposed intake and pre-requisites for enrolment in the three-year Doctor of Physiotherapy will be available here soon.